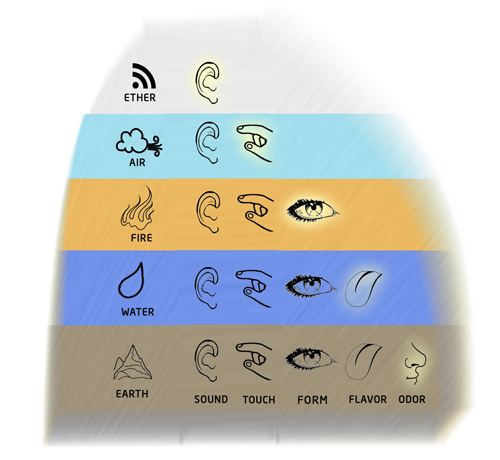 “The five elements manifest in the functioning of the five senses as well as in certain functions of human physiology. Tan means subtle and matra means elements. The tanmatras, the subtle elements, are the objects of the five senses. The five tanmatras are sound, touch, form, taste, and odor or smell; the five senses are hearing, tactile perception, vision, taste, and smell. The tanmatras are the ways in which the objective world is sensed. “The tanmatras form the Common Ground for the expression of the objective world and the entire world exists on this Ground. Another meaning of tan is mother, and matra also means matter — the mother of matter. The Mother of this whole world is the tanmatras. 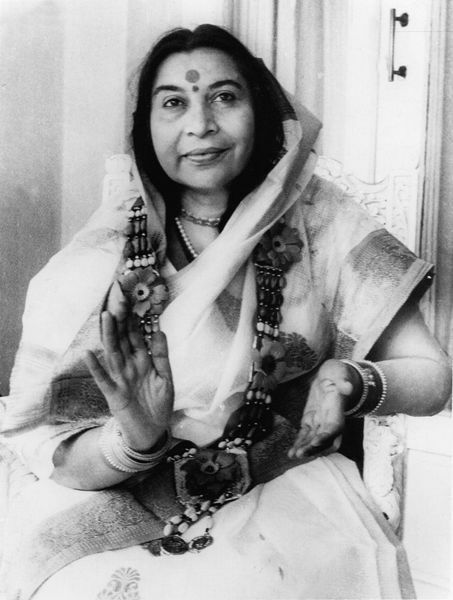 The tanmatras are in the womb of the Cosmic Mother, Prakruti. Very succinctly explained. While doing puja everyday while recite mantras pertaining to srushti krama, I say ‘shabda tanmatrat aakasham utpadayami’. I used to wonder how from this happens. Now I am more clear. Many thanks and my best wishes to you. The earth element helps the whole left side also the first chakra (Mooladhara chakra). Sit on the ground or grass with the left hand palm up on your lap and the right hand flat on the earth. Meditate for some time. The water element helps the whole right side and also the third chakra (Nabhi chakra) and the Void. Put your feet in the ocean and meditate. Drinking water is good for the liver as is applying ice pack to the liver area. The fire element helps the whole left side and particularly the left side of the second chakra (Swadisthan chakra). Sit for meditation and hold the left hand towards the candle. The air element helps the whole right side and also the fourth chakra (Heart chakra). Take deep, slow breaths while meditating. Place your right hand on the center Heart chakra while doing this. The ether element which is invisible in the air helps the fifth chakra (Vishuddhi chakra). Tilt your head back and look at the blue sky. Allow your attention to flow into the majesty of the sky. Take deep breaths.